Beautiful long-lasting restoration without the need for additional appointments. 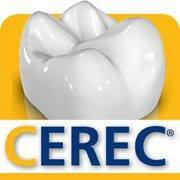 CEREC 3-D technology: CEREC stands for Chairside Economical Restorations of Esthetic Ceramic. This technology allows a CEREC dentist such as Dr. Brion Weinberg in the Jupiter, FL area to capture 3D images of the prepared tooth and immediately create a tooth color, porcelain crowns restoration in one visit, no need for temporaries. Best of all, the CEREC dentist can do all of this while you wait, so you won’t have to wear a temporary dental crown or return for a second appointment for a second dose of anesthetic in the Palm Beach Gardens area. Juno Beach CEREC dentist Dr Weinberg is experienced in the use of the CEREC CAD/CAM computer generated process, which allows for repair of a damaged tooth in about one visit with porcelain crowns. His patients in the Jupiter and Palm Beach Gardens area are provided with a long-lasting aesthetic alternative to silver mercury based feelings, dental veneers, partial to full dental crowns, or any other single-tooth restorations that may be needed. Simply stated, CEREC exemplifies Dr. Weinberg’s commitment to offering patients the very latest technology available. Single visit restorations have been successfully used for over 15 years, and in millions of cases worldwide with over 40 clinical studies confirming their longevity, biocompatibility and efficiency. CEREC dentist Dr. Weinberg near Jupiter, Florida creates inlays, onlays, dental crowns, and dental veneers with characteristics identical to your natural tooth enamel. The dental crowns we create are amazing. Schedule an appointment at Weinberg Dentistry in the Palm Beach Gardens area by giving us a call or filling out the form on this page. Juno Beach CEREC dentist Dr. Brion Weinberg will help you determine if CEREC dental crowns and restorations with porcelain crowns are right for you. Visit us today!